I’ve heard it said that the first Hunger Games movie is a terrible adaption of the book. That it doesn’t capture the spirit, the feel, the message of The Hunger Games. I, for one, never saw that. For me, it’s a reasonably good adaption of the book (when I say ‘reasonably good’ I mean just as good as most book-to-film adaptions) that captures the mood and tone of the dystopian society well. Sure, they had to change up some stuff, but what book-to-film adaption doesn’t? Nothing really stuck out to me as being blatantly different from the book. My only complaint with the adaption part of it was that the ending was a bit too rushed for my taste. A quick montage of Haymitch warning Katniss, Katniss and Peeta doing their interview, and then cut to President Snow. BOOM. End credits. Overall, however, I have no complaints when it comes to book accuracy. Casting is the same way. By now, Jennifer Lawrence, Josh Hutcherson, and Liam Hemsworth (just to name a few of the iconic characters’ actors/actresses) have become household words, completely synonymous with the characters they play. In my opinion, that fame is well-deserved. One thing that I didn’t like in this film was how the first few minutes of it (up until the Reaping) seemed more like a fan-made video of The Hunger Games than an actual, professional Hollywood production. Part of it was the shaky camera, but some of it was also the acting. 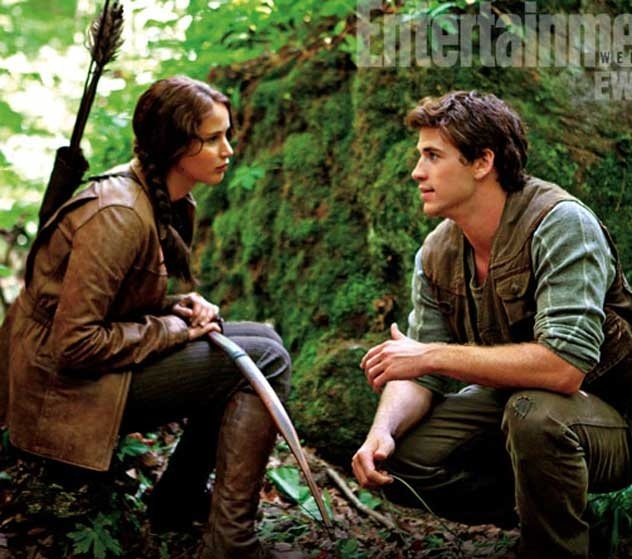 Gale, especially, seems a bit forced in his first scenes. After the film moved past the Reaping, however, it was all good. Solid casting and great emotional performances are, I believe, a bit part about what makes this movie so good. I especially enjoyed the Careers’ part in this film. Lastly, the music. Beautiful. Especially the Panem anthem which always, always gives me chills. I practically have the soundtrack memorized, so I was surprised that a few of the pieces on the soundtrack weren’t in the film. Instead, they were replaced by new music. A scene that particularly sticks out to me in this regard (don’t mind me…I’m incredibly nerdy when it comes to music) is one of the first scenes when Katniss is out hunting. There was a lovely, earthy piece of music on the soundtrack for that part, but they replaced it with a more haunting melody. I’m not complaining, just saying that I think the soundtrack piece fit better with the scene. I’m probably over-analyzing all of this, so let me just say that I think the music in this film is great. The bit for the mutts scene is epic, actually. THIS. MOVIE. Where do I begin? In terms of book accuracy, it is amazing. Easily one of the best book-to-film adaptions I’ve seen. As usual, a few things are changed, but overall it follows the book so, so well (one of the things that was changed was the whole situation surrounding Gale’s beating – I think it was actually a change for the better). Catching Fire really is proof that if you stick to the book, the movie will do fantastically. Nearly everyone loved it (including myself) which in some ways is surprising, because of all the heavy, depressing feels that this film packs in. From the time Katniss had a flashback to shooting Marvel to the very end, I was either close to tears, or crying. If you thought the first film was dark and depressing, Catching Fire brings the franchise to a whole other level. It’s still amazing, though. Any stiffness the actors/actresses might have felt with playing the characters of the Hunger Games universe in the first film seems to have disappeared. The acting by the cast veterans is stellar (no complaints about Gale this time!) and the newcomers no less so. Sam Claflin and Jena Malone as Finnick Odair and Johanna Mason respectively really stick out, and I can’t wait to see what new depths Finnick is given in Mockingjay Parts 1 & 2. Johanna is one of my favorite characters in the trilogy, so it was great to see her portrayed well (except for the elevator scene). This is the last time we’ll see Cinna, but he was as amazing as always. Heartbreaking, too. Catching Fire builds on a many musical themes taken from the first film, while adding in a few of its own. The track for Rue’s death is incorporated several times (always a tearjerker) as well as the anthem and the gorgeous Everlark love theme. There’s also a new theme for Katniss, as well as some ominous undertones for scenes with President Snow and/or the Gamemakers. I particularly enjoy the action scene tracks for the monkey mutts, jabberjays, and the broken wire scene. I think the soundtrack for Catching Fire is even stronger than The Hunger Games (which is saying something) and I can’t wait to see what the two Mockingjay films bring us, when it comes to the soundtracks. Ah, Divergent. I’m so conflicted about this fandom. On the one hand, I find the first book to be bland, sometimes even boring. (I haven’t read the other two because of content issues and, frankly, I’m not interested) On the other, I adore Four and the film is one of my favorite films I’ve seen in 2014. (yes, that did rhyme) I think I’m more ‘in’ the Divergent fandom than ‘out’ of it, but it’s definitely not a major obsession. Now that we have that out of the way, on to the review! First of all – accuracy to the book. It’s a good adaption with, again, some things changed. Because I’m not a huge fan of the book, I’m probably more forgiving when it comes to stuff like Tris actually being kicked out of Dauntless. Even if it doesn’t follow the book as well as it probably could have, I don’t mind. I still love the movie. Casting. Oh my goodness, the casting is amazing. Tris is played by Shailene Woodley, and I actually find movie-Tris a little more likable than book-Tris. She’s a strong female character (although not in an annoying way) and I think it’s cool that Shailene did most of her own stunts. Very Dauntless. (*wink*) As for Four/Tobias. I can’t-I literally just can’t even with the amazingness of Theo James as Tobias. I know, I know, I probably sound like one of those silly fangirls, but at the moment, I am one. I’d watch the movie over and over just for his portrayal of Tobias. 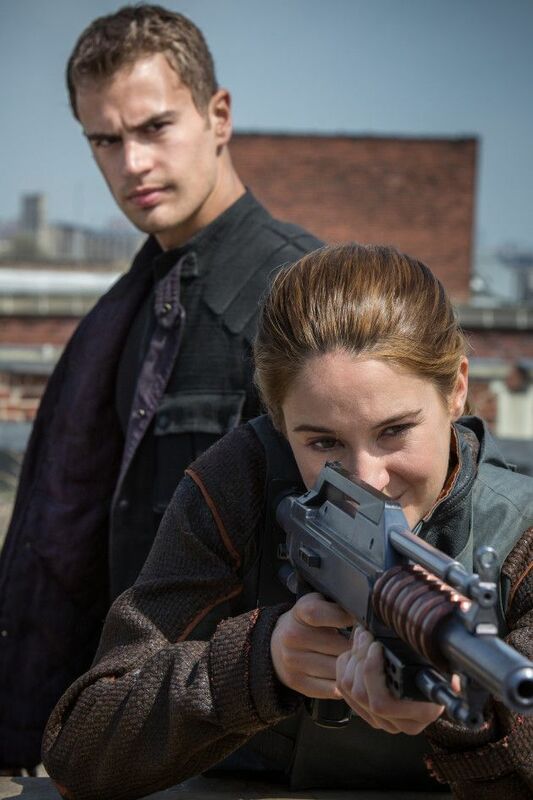 Four is probably the best thing about Divergent, and that translates perfectly on-screen. The rest of the cast was really good, especially Tori, Will, and Christina (who interestingly enough, is played by the daughter of Lenny Kravtiz…who plays Cinna in The Hunger Games and Catching Fire). I’ve already spoken at length about the soundtrack for Divergent, so I’ll direct you to that post.